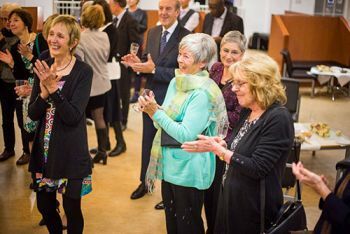 Professor Peter Hungerford-Welch, Head of Professional Programmes at the City Law School, recounts the story of the innovative Bar Vocational Course, which recently celebrated its 25th year. 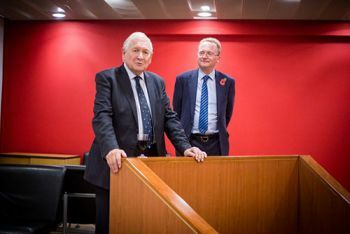 On 5th November, The City Law School held an event to mark the 25th anniversary of the creation of the Bar Vocational Course (BVC). 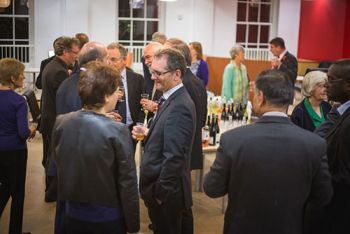 The celebration was held at the School's Gray's Inn premises. In September 1989, the Inns of Court School of Law (or ICSL, which became part of City University London in 2001, and is now known as The City Law School) devised the BVC for aspiring barristers. Prior to 1989, Bar training took the form of preparation for the Bar Exams, and offered very little by way of training in the skills that a barrister needs (and everyone who wished to practice at the Bar of England and Wales had to attend the ICSL, which ran Bar training for the Council of Legal Education). There was a widely held view that, because of the absence of skills training, the Bar Finals did not provide the most appropriate form of training to equip students for practice at the Bar. The School commissioned research (conducted by Professor Joanna Shapland) into the knowledge and skills required by a barrister. Based on the results of that research, and the experience of members of the School's staff, we set out to devise a radically different form of training for would-be barristers. The result was the BVC, which was launched in September 1989. This was a blend of knowledge (for example the rules of civil and criminal procedure, and evidence) with the skills that a barrister needs (advocacy, advising clients orally and in writing, drafting statements of case, negotiation, legal research). 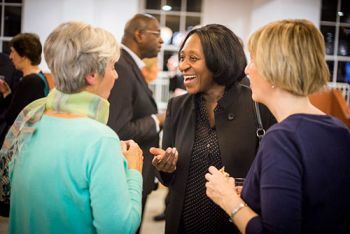 The influence of the BVC went beyond Bar training: when The Law Society decided to replace their Final Exams with a more practical course (which came to be known as the Legal Practice Course), advice on course design and delivery was sought from the ICSL. Over the years the School has hosted delegations of senior politicians and educators from around the world who have been interested in modernizing their professional education systems. These have included visits not only from Common Law jurisdictions, but also in recent years from countries in the EU, the Middle East, Russia and Japan. In 1997, the decision was taken to validate a number of institutions (including the ICSL), to provide the BVC, and so the ICSL ceased to be the only provider. The course that we devised in 1989 was used as the blue print for the new validated course by the General Council of the Bar, which had taken over the regulation of Bar training. Several years later, the BVC was reviewed by the Bar Standards Board (which in turn had taken over the Bar Council's regulatory functions) and, in 2010, it became known as the Bar Professional Training Course (BPTC). The current course is very similar to the BVC, and so can clearly trace its origins to the course devised in 1989 by the ICSL. 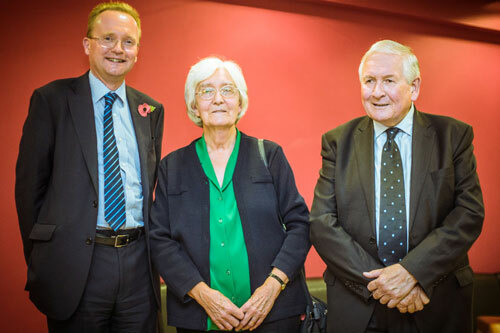 Guests attending the celebration in the Atkin Building included Sir John Mummery (recently retired from the Court of Appeal and closely involved with the School when the BVC was created and delivered), Mary Phillips (Dean of the ICSL at the time of the new BVC), David Telling (Sub-Dean at the time) and many of the staff who were teaching at the School in the early years of the BVC (two of whom now hold judicial appointments: Her Honour Judge Barbara Mensah and District Judge Delia Coonan). Being the originator of skills training for new entrants to the legal profession in this country is a major achievement. As the world of legal training moves forward in light of the approach recommended by the recent Legal Education and Training Review, we at City Law School are confident that we will remain at the forefront of training new legal professionals and, having devised a course from scratch 25 years ago, we look forward to repeating that feat in the 21st century.